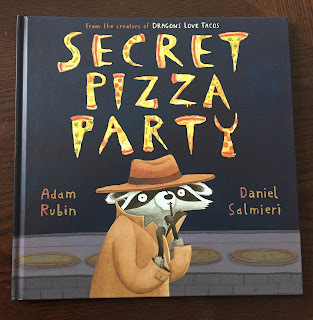 Due to a twitter conversation, I've decided I must share my love of the book Secret Pizza Party by the incredible duo Adam Rubin and Daniel Salmieri, the talented two-some behind Dragons Love Tacos . This book is hands down brilliant! Dare I say better than Dragons Love Tacos ?! I know, I know, you may be thinking Dragons Love Tacos is the bees' knees and I'm a sour-puss mom who's lost her way, but hear me out. I'm still a big fan of Dragons Love Tacos. (Have you heard they are publishing a Dragons Love Tacos 2: The Sequel !!) 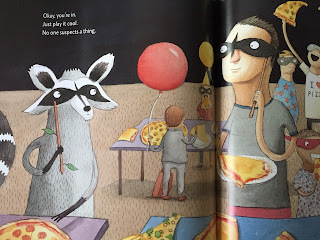 But Secret Pizza Party is just plain fun to read! It tells the story of a raccoon who wants pizza, but people keep bonking him with brooms. With the help of the narrator, he devises a plan to throw a secret pizza party. The racoon never says a word, but the narrator is amazing and anytime a children's storybook includes the phrase "sweet sassy molassy" you know I'm all over that crazy train. It's hard not to read this story with enthusiasm as the raccoon plots his way to pizza. At this point, it would be customary in my reviews o share a few photos, but it is a secret and if you read the book, you'll quickly learn, regular storybook? ok. Secret Storybook? Hoo-ha! Let's read! Ah! Who am I kidding, this is one of my favorite pages. Sorry for the glare on the page, but look at the brilliant illustration. That stick! Oh man! 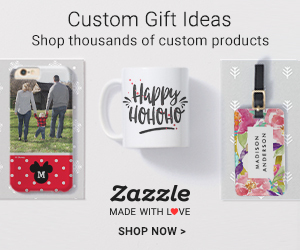 That tiny feature kills me. This book is a fantastic collaboration between both author and illustrator. I highly recommend it! Heck I'm going to read it again to my kiddos today. Ok, as a side note because I noticed as I was writing this review, Secret Pizza Party is currently on sale at Amazon for $7.99 right now! Run Reader! Run like the wind and buy a copy!